When thinking brings pleasure. When thinking brings pleasure? : Bridge International Academies, Blockchain Education, and the Future of Public Education. Bridge International Academies, Blockchain Education, and the Future of Public Education. 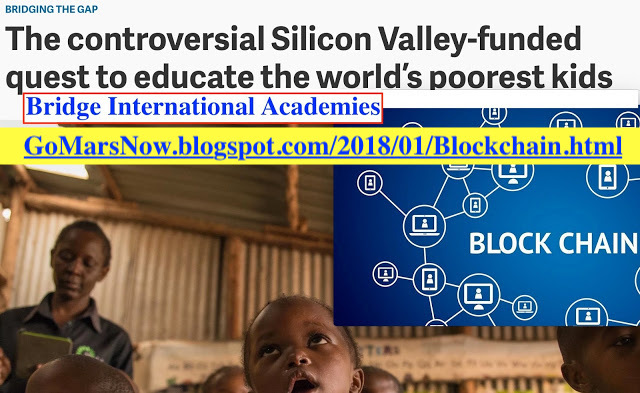 Bridge International Academies, Blockchain Teaching, and the Future of Public Education. I am not a gambler. That is why I don’t play the bitcoin game. First and foremost, it is not a coin, and it is not money. Someone very smart coined a name "cryptocurrency", i.e. named the new artificial digital entity a "currency", and now everyone thinks of it as it is money. But, it is not. We all know, that not every shiny thing is made of gold. Not everyone named Einstein is a genius. Cryptocurrency is a currency only by a name. The fact that people may use it to exchange for goods does not make it an actual currency. In the case of a food shortage, food becomes a “currency”. In the case of a cigarette shortage, cigarettes become “a currency” (and not only for smokers). Postal stamps can become a “currency”. Anything what has value for some people can become a “currency” under certain circumstances - for those people, and within those circumstances. Currently any “cryptocurrency” is a just gambling token. BTW: not the first in the history. For example, once Russians almost switched to a new “currency” called “MMM notes” (https://en.m.wikipedia.org/wiki/MMM_(Ponzi_scheme_company). Those notes were made of paper. Bitcoin is made of digits. But essentials are the same. Both are a gambling tool for building a financial pyramid (making profit of the money brought by new participants). I wouldn't be surprised if we’ll learn that the Bitcoin was created by Sergei Mavrodi himself (he was a mathematician: https://en.wikipedia.org/wiki/Sergei_Mavrodi). What fascinates me is the technological idea on which all “cryptocurrencies” are built, i.e. blockchain. When a new technology sees the light, my first instinct is to try to find the use for that technology in education. I am not an expert in informatics or computer programming. Reading about the fundamentals of the blockchain mechanics took some effort. The "breakthrough" happened on the flight from New-York to Moscow, which takes nine hours, so, plenty of time to think without any distractions. In the end, I wrote my take on “cryptocurrency” (you just have read it), and then switched my thoughts to a merger between blockchain and education. The idea should be NOT about teaching blockchain, but about blockchain teaching; i.e. not about how blockchain technology can be used in education, but about how the teaching and learning processes in education can be structured using principles of the blockchian building. The main feature of blockchain (to my best understanding) is the existence of many identical copies of the same piece of information (a block) distributed across many independent sites (nodes, hosts). When created, each block cannot be changed anymore, it cannot be modified; instead only a new block can be created and located as the next element in the chain of blocks. The new block will have all the information about the old block, and about the difference between the old and the new blocks. When you think about individual blocks of information, such that the content of each block (the same for each block) should be “imprinted” in many hosts, you see that this is how- ideally - an efficient learning process should be functioning. When a student absorbs one block of information, for example the Newton's second law, another student across the country (or anywhere in the world) should be able to absorb the exactly same block of information. If that is not happening, a teacher creates a new block. The new block does not replace the old one, but is placed in the chain with all other blocks. Each block needs to have the information about a student (which can be enhanced in future blocks), as well as the information about the learning achieved by a student. If a new block is created to amend the old one, it has to have information about the reason for creating the new block. Blocks need to be searchable. Based on information stored in blocks every instructor can select or develop a specific “chain" tailored for a specific student. Well, of course, that is just the main idea, which needs much more detailization. The optimal structure of the blocks should be developed via a set of continuous iterations, starting from initial set created by a group of educators, and amended via mutual teaching practice of participating instructors. It took about three more weeks before I returned to the topic and wrote this post. I stumbled into an article about an educational startup. Very soon it has become clear to me that the startup was trying to realize the idea of blockchain education, even without calling it that name. First to mention is that there is no such thing as a “science of learning”. There is a professional field where people conduct various scientific activities with the goal of getting better understanding of the patterns governing various learning and teaching process. But that professional field has not reached yet the status of a full science. For once, the mission of a science is to be able to make measurable predictions (https://teachologyforall.blogspot.com/2017/12/scvrel.html), but no teacher can predict the final grade of a student who just begins taking his or her course. BTW: there is nothing wrong in the fact that the “science of learning” does note exist – yet. According to the General Theory of Human Activity, science is just one of many important human practices. As a human practice it evolves, has phases and stages, and levels. The direction of the evolution of a science does not depend on the actual scientific field. There is a stage when people in the field do not have yet commonly accepted definitions and laws, rely mostly on heuristics, cannot make reliable prediction and mostly explain the events which have already happened. Education is currently in such a state (http://www.teachology.xyz/np.htm). What people in the field call “science of learning” currently is no more than a set of common sense rules (“do not harm”, practice makes perfect”, etc. http://www.teachology.xyz/6LT.html), however wrapped up in much more scientifically sound statements. Much more important is to understand that calls “to foster motivation”, or “critical thinking skills” (a) at least 30 years old (and still just are calls); (b) have no methodological foundation (no one knows how to teach it, at least en masse; for some insights on the matter - https://teachologyforall.blogspot.com/2017/12/aidef.html); and (c) the development of critical thinking heavily depends on the quality of “ basic thinking”, i.e. basic education (reading, writing, math). If students had no teachers, but now have a teacher who can give them basic education, this is progress, this is a huge step ahead. If on the top of it, someone will succeed in fostering motivation and advancing critical thinking skills, the progress will be stronger, the step will be larger. But criticizing people who give basic education for the absence of “critical thinking” is just counterproductive (in my experience, this type of critique often comes from people who cannot teach). Believing that development of critical thinking can happen without solid basic education is like believing that people can start running without learning how to walk (one can find this type of belief in many publications on “cyber thinking”: https://teachologyforall.blogspot.com/2017/12/cyber.html). It has become very fashionable to point at technological innovations as the source for a soon-to-be leapfrog in education (e.g. https://www.brookings.edu/research/can-we-leapfrog-the-potential-of-education-innovations-to-rapidly-accelerate-progress/). In reality, the outcomes of such innovations are greatly overstated. The problem is not that inventors and startups do not produce enough innovative techniques, devices, approaches. The problem is that inventors and startups produce too manyinnovative techniques, devices, approaches which are absolutely incoherent with each other and with the actual teaching and learning processes. The transition from a horse-drawn carriage to a motorized car would be an example of a leapfrog. If someone would offer teachers a fully assembled “car” (the complete and fully resourcefully bootstrapped teaching process), that would lead to a leapfrog. But what teachers have to deal with is the shower of different “parts” (“wheels”, “wipers”, …), which don’t even fit each other (http://GoMars.xyz/3r.htm#two). What Bridge International Academies is to demonstrate is that even partially realized blockchain approach to organizing education is more efficient than a chaotic combination of various innovative tricks. By 1919, in the middle of the civil war (which followed the revolution of 1917), only about 30 to 40 % of Russians could read, write, and count. In 1920 Russian government created the "Urgent Commission for the Liquidation of Illiteracy" (shortly “Liq-Ill”). 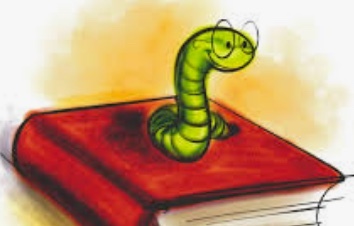 It took an enormous coordinated effort and resources, and about 30 years, to achieve almost 100 % literacy of about 180 million people (https://en.wikipedia.org/wiki/Likbez). Expecting that introducing to teachers several new gadgets would lead to qualitative changes in mass education is no different from believing in miracles. Qualitative changes in mass education can be only the result of systematic and systemic, on a large scale coordinated approach. The blockchain methodology provides the platform for that approach. The problem of Bridge is that it has limited itself by servicing students only in the poorest countries. However, even developed countries have millions of students who are not taught by highly qualified teachers (due to many reasons). Those schools represent a potential market for Bridge, or another blockchain-organized education structure. The only difference is that this market may need the development of a different chains of blocks.